I have been craving something jammy and cakey all week but I haven’t had a chance to bake. Tonight, I promised my eldest son that we’d make something together but since we were short on time we picked this as it’s such a simple recipe to knock out. Preheat the oven to 190C/Gas mark 5. Grease a 12-bun cake tin. With a fork, beat together the milk, oil, egg and vanilla extract. Stir this into the flour and caster sugar to just combine: the lumps don’t matter and overbeating leads to tough muffins. Spoon the mixture into each muffin cup so that it’s just under a third full. 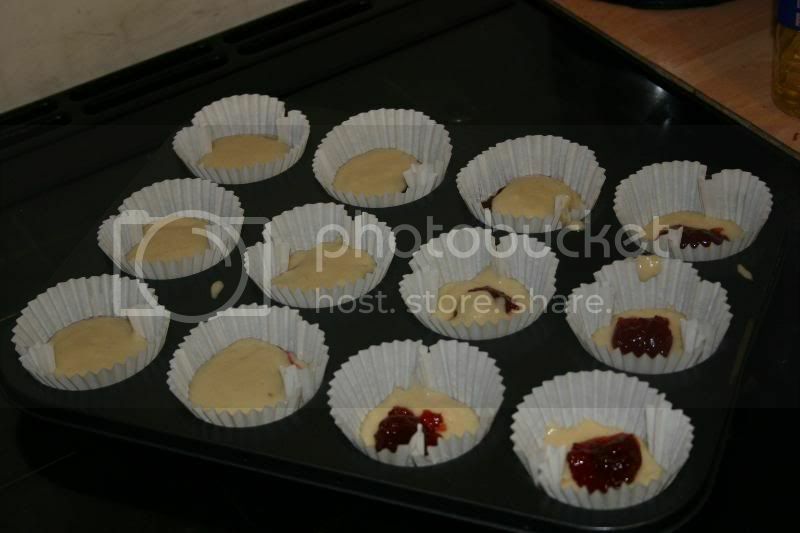 Then with a teaspoon add a dollop of strawberry jam and top wth more muffin mix so that the cases are just about full. Put them in the preheated oven and cook for about 20 minutes or until the tops feel springy and resistant and the muffins have puffed up into little toadstools.. Meanwhile, melt the butter slowly in a thick-bottomed pan, and pour the sugar into a wide, shallow bowl. As soon as the muffins are ready, remove them from their moulds, dip them in the butter and roll in the granulated sugar. Best served warm, and this recipe makes 12. If you want to burn calories after this tasty muffins, try central park bike rental from CentralParkSightseeing they have a big choice of bikes and a great service.